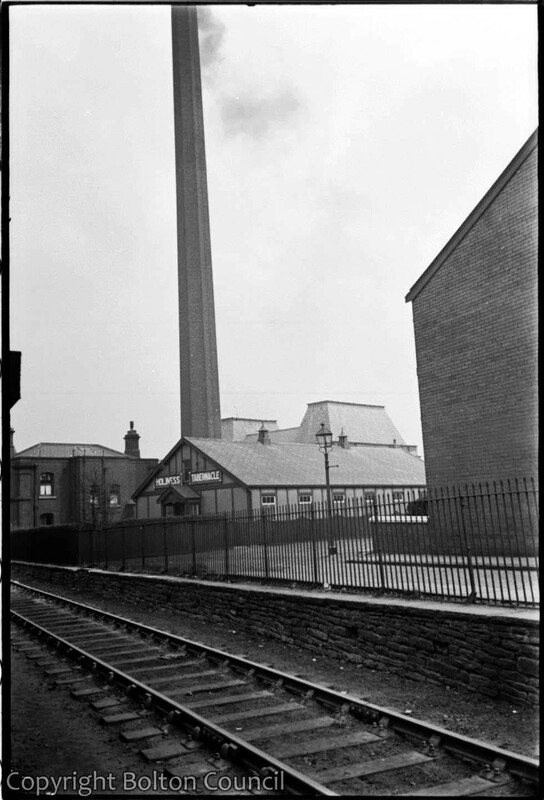 Holiness Tabernacle, chimney and train tracks, Daubhill, Bolton. This church was built in 1932, replacing a tent which had previously housed the congregation on Daubhill’s former market place. The building has been demolished and the Church of the Nazarene now stands in its place. The train line has been removed. Mass Observation planned to publish a study of religious life in Bolton to follow on from John Sommerfield’s The Pub and the People. It was planned that Humphrey Spender’s photographs would be used to illustrate this survey, as they had been in Sommerfield’s book, and so many of the Worktown photographs are of religious buildings and services. The start of the Second World War interrupted the plans for the book which was then never completed.